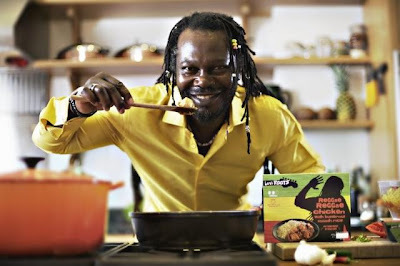 Having already carved out a successful career in music, Reggae star Levi Roots had a dream to combine his passion for music with his love of food. Armed with his grandmother's secret recipe sauce, and a catchy tune to promote it, Levi was grilled in front of the panel of venture capitalists of BBC Dragons Den and came away with the funding and contacts to turn his sauce business into a commercial hit. See a video interview with Levi Roots here. But more importantly, watch him cook!